Income-driven repayment plans are most helpful to those whose monthly student loan payments comprise a significant portion of their annual income. These plans establish reasonable monthly payments and put a cap on the number of years borrowers are required to pay toward their student loan. The Federal Government offers these Income-Driven Repayment Plan options through StudentAid.gov. You pay 15% of your adjusted gross income per year above 150% of the federal poverty level (FPL). After 25 years any remaining student debt is forgiven. In 2016, 150% of the FPL was $17,820. You are a single adult making $40,000/year. Your salary ($40,000) minus 150% of the FPL ($17,820) equals your adjusted gross income per year ($22,180). 15% of $22,180 is $3,327, which is the total amount you would pay per year toward your student debt. This averages out to be $277.25/month. Each year you would re-certify and your payment would be adjusted based on your income. After 25 years, if you still had remaining debt, it would be forgiven. You pay 10% of your adjusted gross income above 150% of the federal poverty level (FPL). After 20 years any remaining student debt is forgiven. Your salary ($40,000) minus 150% of the FPL ($17,820) equals your adjusted gross income per year above 150% FPL ($22,180). 10% of $22,180 is $2,218 which is the total amount you would pay per year toward your student debt. This averages out to be $184.83/month. 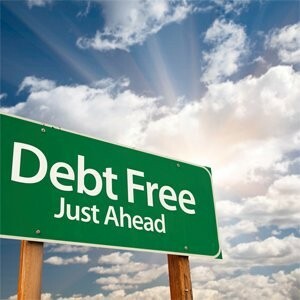 After 20 years, if you still had remaining debt, it would be forgiven. a fixed payment over the course of 12 years, adjusted according to your income. Discretionary income is the difference between your income and 100% of the federal poverty level. In 2016, 100% of the FPL was $11,880. You are a single adult and make $40,000/year. Your salary ($40,000) minus 100% of the FPL ($11,880) equals your discretionary income ($28,180). 20% of $28,180 is $5,624 which is the total amount you would pay per year toward your student debt. This averages out to be $468.67/month. If you had remaining student debt after 25 years, it would be forgiven. The amount of a 12-year Standard Repayment plan will vary depending on the total amount of student-debt and the borrower’s average income. With the ICR plan, you would pay the lesser of the two options above.